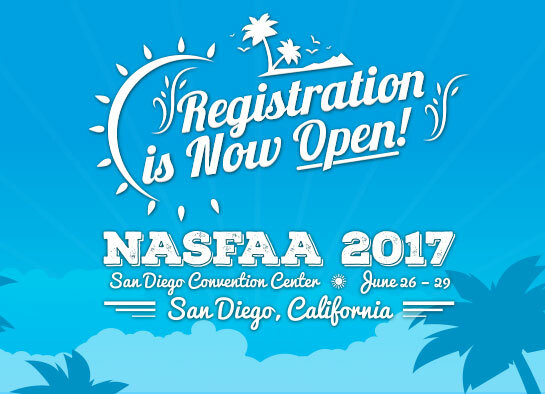 It’s time for to register for the annual NASFAA Conference – in sunny San Diego! Here’s the original post from NASFAA. Hope to see you there! Registration is now open for the 2017 NASFAA National Conference. The NASFAA National Conference is the premier event serving the student financial aid community. Student aid professionals from across the nation attend the NASFAA National Conference each year to teach, learn, network, and share best practices.